Get cozy as the Star becomes your own private chalet. Step into the cozy warmth of a private glass cabin and curl up in comfy beanbags 40 stories above Melbourne for this unique floating chalet experience. Take in the panoramic views while sipping on warming mulled wine and savouring a cheese hamper with seasonal produce. Plan your winter escape on the Melbourne Star, click here to book tickets online. 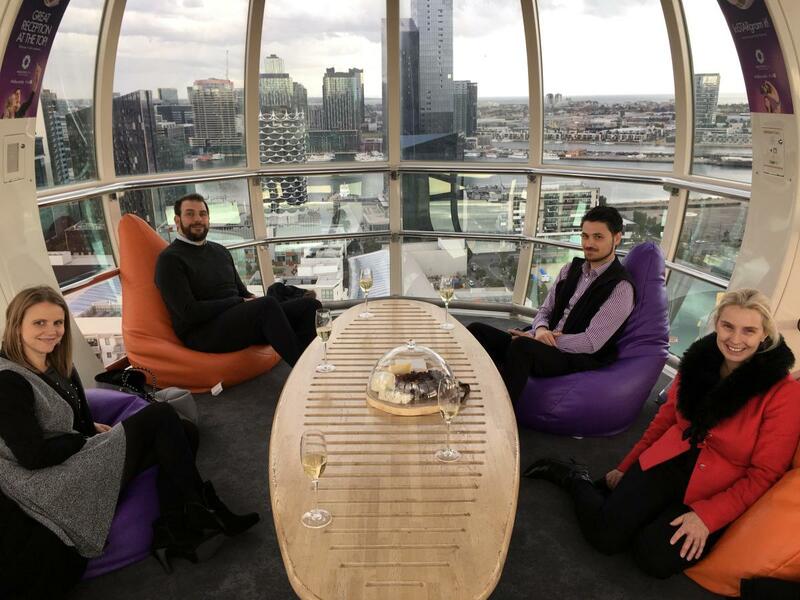 The image below: The MCB team taking in Melbourne views on the winter chalet experience.